Good afternoon! Thank you all SO much for your helpful suggestions and tips regarding our holiday. I wanted to go to the Caribbean as its my absolute favourite place and we have been many times but its all a bit unclear which places are affected by Zika and as we plan to have a large family I don’t really want to risk it. We have only been to Dubai once for a couple of hours on a way to a wedding in Abu Dhabi years ago so I thought why not try it out. I am still a bit torn between that and Zighy Bay in Oman but I will decide this week and let you all know. SO great to have such an interactive community and get lots of answers – I might start asking you all for lots of other things too haha! Today’s post is all about metallics. 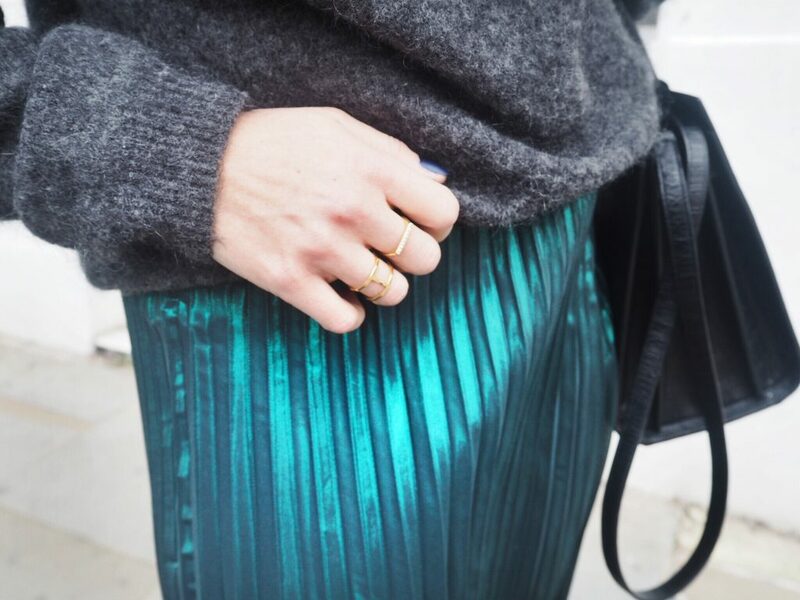 Yesterdays Sunday Times Style had a section all about it and as I wore this &Other Stories green metallic skirt a few weeks ago I thought I should do a post focussing on that. 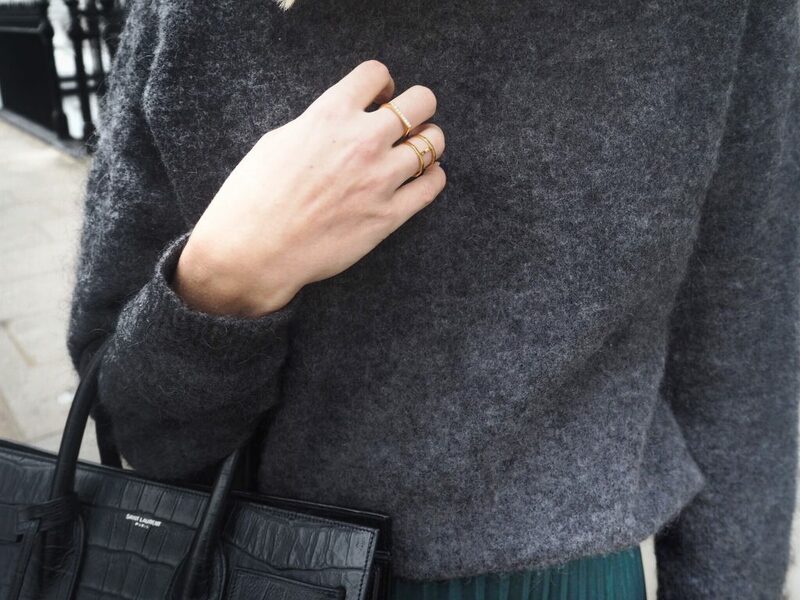 Its festive and perfect for Christmas time or New Years Eve so if you don’t yet have an outfit then here is some inspo. And the good news is you can wear yours in a very understated way with a big sweater on the top like I did or you can dress it up more with a fitted body or blouse. Here are my favourites! Gucci skirt in pink or this silver one. Whistles fuchsia metallic skirt – I absolutely adore this colour! A great priced gold one from Topshop. Also from Topshop this one is absolutely gorgeous. Its almost a sort of pale yellow so you could also use it in the Springtime. &Other Stories green pleated skirt as worn on me. For something a bit more low key – try this one from Vince. And I love love love this one from Warehouse. If you are willing to splurge then this one or this one from Stella McCartney are fab! This A.L.C. one is stunning I love the rich colour. And finally this Peter Pilotto one is the absolute dream but a total investment piece.